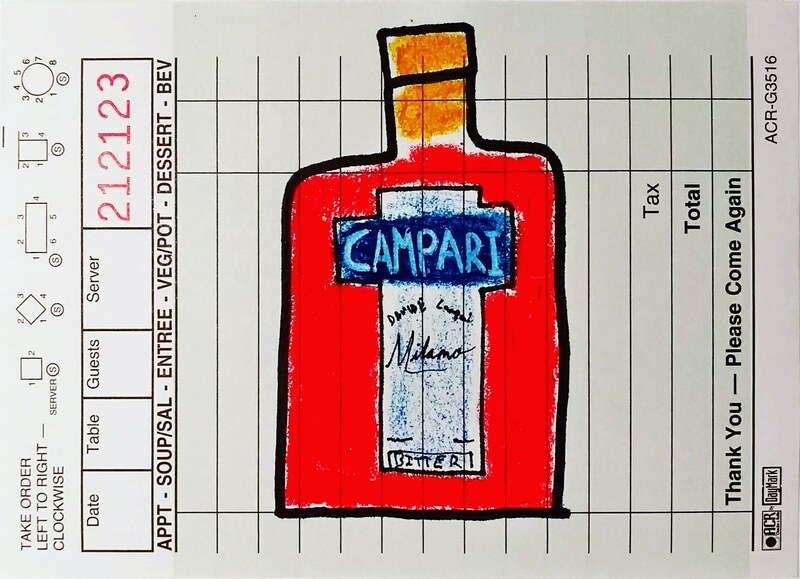 Campari is an Italian company and actually owns Wild Turkey down in Kentucky. For some more cool trivia, it used to be colored with red bug shells but they stopped in 2006. If you care about rankings Wine Enthusiast gave it a 96 out of 100 a few years ago (post bugs) and that places it in great company with some of the other exemplary spirits of the world. Its alcohol percentage is different depending on what country it is being shipped to but we get ours at 24% abv here in the U S of A and it is labeled as Campari Aperitivo, and not Campari Bitter as many of the others, because they think we actually read the labels. This potable bitter red stuff is reportedly a mix of alcohol, sugar, bugs, water, and an infusion of orange, rhubarb, ginseng, and secret herbs that only one guy knows. Basically a red secretive old fashioned in a bottle. The production involves a lot of steeping with giant tea bag like objects and lots of sugar and has been that way since its advent in the 1860’s. You have to have this on your shelf because it is one of the prettier bottles out there and without it, you cannot make a [Negroni]. Without the Negroni I wouldn't be writing this all out and behind a bar at all. So there. Campari is a rough one to get into, or into you rather, but give it some time and some soda and you will be drinking it over ice like Steve Zissou in no time.